The big news this week is that a-ha are getting back together! Hooray! Well actually, they’re not getting back together, they’re just becoming a-ha once more while they make a new album and go touring, then after that they are reverting to not being a-ha again. Or something like… Clear? No? Okay, basically, they are ONLY going to be a-ha while they are either making an a-ha album or playing a concert as a-ha. When they are not doing that, they are definitely not a-ha. What’s not to understand? Anyway, we know all this because a press conference was organised on Wednesday in Berlin specifically to tell us that they are not permanently reforming, and that we shouldn’t get any ideas. 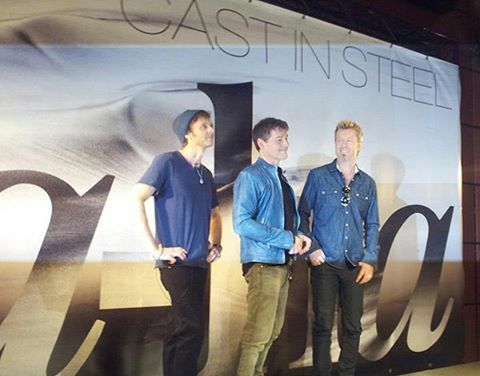 There was a big silver backdrop at the press conference with the a-ha logo (circa 1985) on it along with the words ‘Cast in Steel’. For a moment it felt a little like an Eon productions Bond launch, you know ‘James Bond will return in Cast in Steel…’. But it wasn’t. The giveaway was that the press conference appeared to have been organised by Messrs Laurel and Hardy. A woman came on, who I think was the Norwegian ambassador in Berlin and said some words not in English. Then three men in suits came on ‘stage’ (not the band) and stood there looking awkward. One of them spoke German for a while. Then the band came out for a photo opportunity. Morten removed his sunglasses for the pictures but no one really said anything. Eventually, after lots of flashing of cameras, someone shoved a few chairs on stage and a bloke called Tom interviewed the band. Now bearing in mind at this point the English speakers amongst us had ABSOLUTELY NO IDEA WHAT WAS GOING ON, Tom’s opening gambit of “I wanted to start with a quote from one of the new songs Open Face…” was rather irritating. He forgot to ask them why they are getting back together, and why they’ve recorded a new album and why they are un-getting back together after the tour. There was also no mention of the forthcoming reissues, but that is probably because this was a Universal Music sponsored event and they aren’t going to give any free promotion to Warners. How not to run a press conference. You can watch the full shenanigans here. Three years on from the launch of the ‘Pure Audio’ blu-ray audio brand and we are starting to see some great releases on the format. For the first couple of years, there was a bit too much ‘respecting of the album’ as founder Olivier Robert-Murphy described it at the end of 2013. Lionel Richie’s Can’t Slow Don’t – all eight tracks of it – for £15 to £20, was a bit of a hard sell (ironically that disc sounds amazing). Same with Tears For Fears’ 10-track The Hurting. There was also some questionable vagueness when it came to mastering sources. But in recent months things have started to change. We’ve enjoyed the second Tears For Fears album, Songs From The Big Chair on a blu-ray disc that boasted three different versions of the album – 5.1, 2014 Stereo Mix and the original version. That is more like it. Bryan Adams’ Reckless also boasted a 5.1 mix, as did Simple Minds’ Sparkle in the Rain. 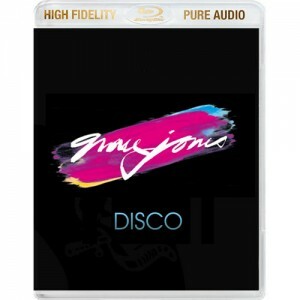 Now the forthcoming Grace Jones set, Disco, is available on blu-ray in its entirety – all 43 tracks of it. Great news. For a while there the format was so under-utilised it felt like we were driving around in a Ferrari carefully respecting the 30mph speed limit, but now finally we have found some open road, can hit the gas and really make the most of the performance of the format. It’s great to see the talented Steven Wilson working on some of these rock/pop projects and the bar had undoubtedly been raised with packages from XTC, Yes and Jethro Tull all of which Wilson was involved in. I’m not normally one for going to loads of gigs (limiting factor: time, money, energy…), but the last seven days has seen me in North London doing a bit of ‘Disco Stu’ at the Roundhouse in the company of Nile Rodgers and Chic and on Thursday night I had the pleasure of seeing The Who at the Royal Albert Hall. Obviously two very different acts, but putting aside the merits of the artists (both were excellent) it was interesting to compare how the venue adds or detracts from the experience. Not to put too fine a point on it, Camden is a bit of a dump and The Roundhouse simply doesn’t offer a great viewing experience, if – like most of its capacity – you are standing. It’s very flat and inevitably you have some 6’ 5” bloke standing in front of you. Worse, with the Chic gig this person wasn’t ‘standing’ doing some concentrated head-nodding but rather ‘getting on down’ in full boogie mode. And, if you don’t make it reasonably far forward you also have the problem of a circle of supporting pillars and it seems like wherever you stand you can’t see *something*. By comparison the Royal Albert Hall just enriches the whole evening and feel so much more civilised. We were seated, had a great view, with easy access to the bar and toilets, and only ‘appropriate’ standing up i.e. at the *really* exciting bits (My Generation, Won’t Get Fooled Again etc.). Grumpy old man? Probably guilty as charged. But hey, Kate Bush had the right idea last year; all seated, interval and ice-cream at half time. Once you’re in your forties the word mosh pit disappears from your vocabulary! If you’re a regular reader of SDE you may well be ‘dealed-out’ for this week given the Amazon Easter Deals, so if that’s the case feel free to ignore a few highlighted bargains below. The frenzy of email alerts is now over and normal service will be resumed. Use Google Chrome to automatically translate foreign language sites. 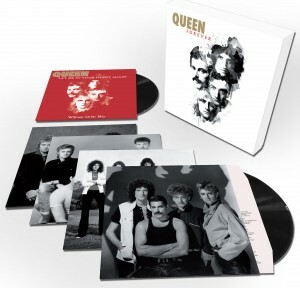 Regarding the vinyl revival, I recently read a online article that stated that the sales of vinyl in the UK have significantly increased so I think the vinyl format is far from dead and as long as the labels continue releasing quality albums, sales will continue to increase. If I can find the link then I’ll post it later. 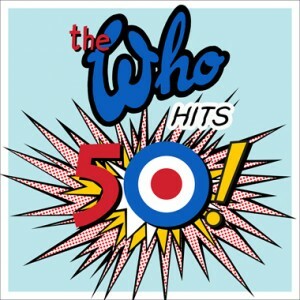 I know that The Who Hits 50 was previously mentioned being released on Blu Ray Audio. Anyone know if this release has now been canceled? Marvin Gaye, John Coltrane, and Miles Davis are some of the future releases I’m considering purchasing in the future. what happened regarding the Guns N Roses release? I know that one of the samplers included a track so hopefully the album will be released in the future. I saw OMD a year or so back at the Roundhouse. I was sitting upstairs albeit not with a pillar in front of me. I have to say it was fine – when you are used to venues such as the O2 then a venue as tiny as the Roundhouse is can’t ever be that bad. Sound quality knocks O2’s socks off too. If you forgo the pre gig grub and get there for the support and a decent spot near the front, with healthy bladder, the Roundhouse is a great venue. Outside the pillars or seated its a nightmare. Paul, glad you said that about the Roundhouse as I don’t feel as bad now about not going to see Future Islands there next week due to work stuff. Never been to The Roundhouse before. Saw The Who in Leeds in last year, superb hit packed high energy set. Couldn’t believe it really. On the Vinyl Revival, I just can’t see it. When CD came out in the 80’s me and my other HiFi oriented mates couldn’t wait to get rid of vinyl once we heard CD, mainly because it was pure and distortion free. 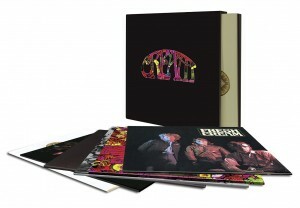 It actually puts me off SDE box sets when I have to buy vinyl to get extras on CD. They should keep them separate. The problem we have now in this mongrel mix of releasing music is that downloading has marred many new releases on CD because the recordings are inherently compressed. There are many exceptions though, the new Matthew E White being one of them! Miker makes a good point – my wallet is struggling to keep up with the releases and it is often a case of whittling long lists of potential new vinyl purchases down to the few I can afford. By the same token, unsold new stock has to be offloaded at some point, so future bargains will continue to pop up. If there is consistently too much over production, record labels will eventually cut back on this in due course – they’re in it for the money. Yes Craig the lack of interaction was quite interesting. It was kind of “can we get this done quickly because I’m due elsewhere in a few hours” feel to it. It’s great to have another album and a tour from them but the whole press thing did seem rather forced. I’ve watched the press conference and found their body language during the question very interesting, none of them looked at the other, nice to see Pal said something for a change but Magne looked like he didn’t want to be there. Magne said said something along the lines that they were working separately in different parts of the world which doesn’t sound good. Universal completely messed up the promotion of ‘FOTM’ Why wasn’t Riding the crest released as a single, it screamed to be a single. Why was the album filler Nothing is keeping you here released. And as for Shadowside who decided to pointlessly remix it and completely kill it? I think it’s Magne and Paul who aren’t on the same wave length. Morten appears to be on speaking terms and working with both. I agree completely about the singles choices for FOTM. I thought that album was over rated though. I excited by the Blu-Ray development. I grew up in the days of Vinyl, but I’m not interested in the revival of the format. For me, people blindly ignore the negatives of the format – short running time, surface noise, the high cost etc. Blu-Ray is far more enticing. Whilst its been nice seeing Vinyl Revival I do now feel that the small market that has been enticed to buy that “limited edition ” vinyl reissue once more ( I already own the original LP,plus the cd reissue with extra tracks)is beginning to slow down.It has been a green light to reissue every vinyl release since the beginning of popistry,by all the major players,but the deluge of vinyl deals lately,with record shops trying to offload countless units of unsold vinyl masterpieces is apparent.Alarm bells ringing,well maybe not just yet,the point being is every album release does not have to be reissued on vinyl as it kills the exclusive appeal to collect by lets be honest ” collectors”,cd’s are easier to play,and yes exclusive vinyl limited edition,one run of coloured vinyl will always be welcome,but lets not kill the ambience of collecting and become blasé,how to remedy this?Don’t know but there is only so many box sets of vinyl you can purchase without buying a portakabin or digging a celler or arranging a divorce. I agree to an extent. Trevor Horn summed it all up when commenting on the difference between the Frankie deluxe release and Tears for Fears. However, one of the killers for those of us on vinyl was the decreasing quality thru the 80s as the record cos found more ways to screw the punter. Remember when Curly Wurlies were bigger? That’s because they were!!!! So, re-release on proper quality vinyl is welcome in some cases. I’ve offloaded collectable originals because, in the end, the sound quality matters the most and not the sleeve or rarity value.